Press-fit M3 nuts into their sockets in the enclosure bottom part. 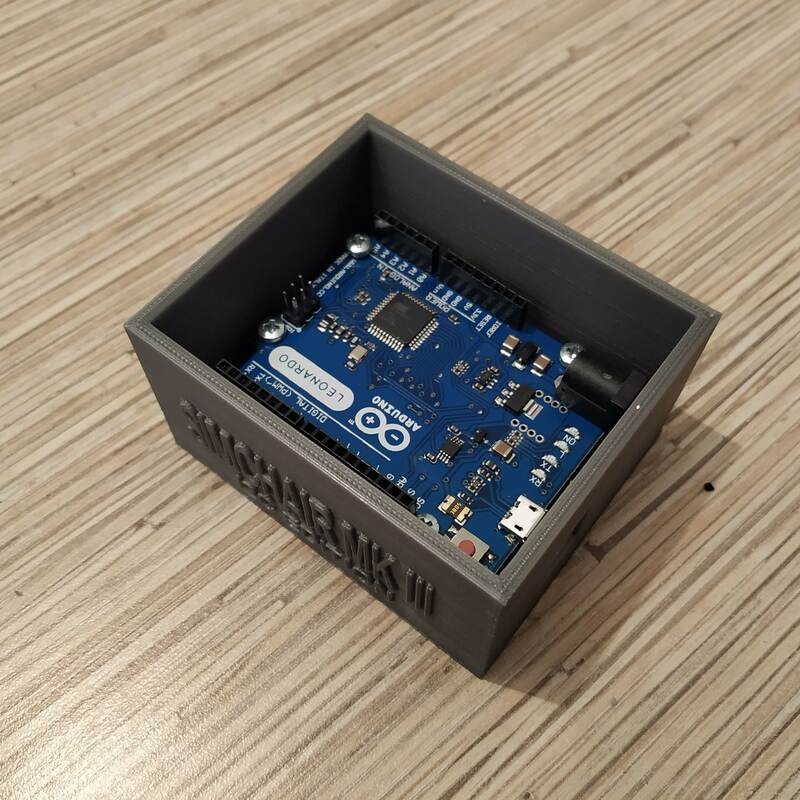 Inser Arduino Leonardo board into the enclosure and fasten with 4 M3x12mm screws. 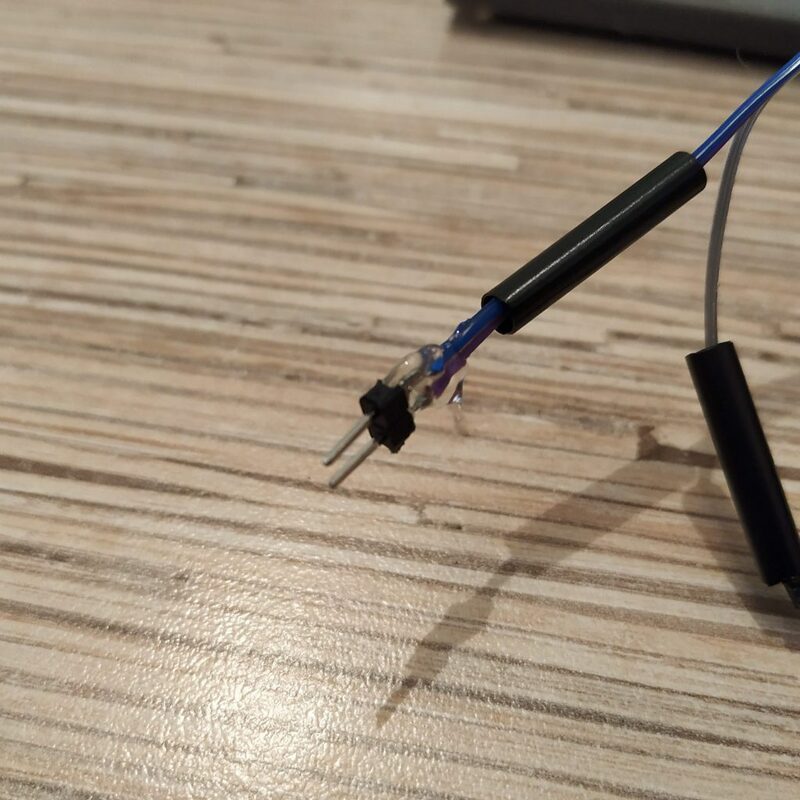 Tie wires together by their pin numbers, and use another 4-wire cable to connect sockets to the board. 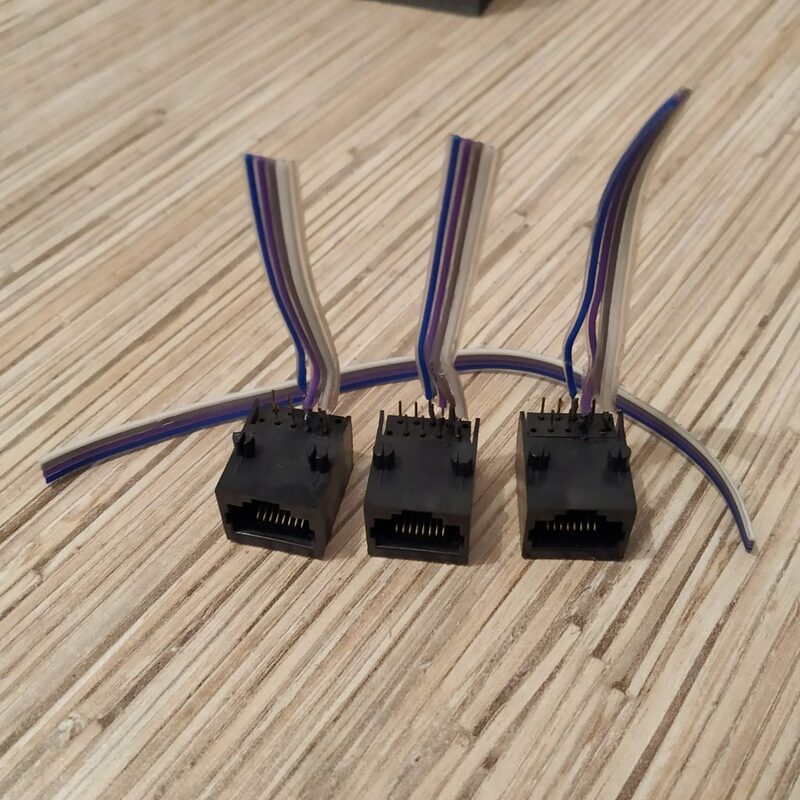 Split that 4th cable into 22-wire cables and solder 2-pin headers to its ends. Use hot glue and insulation to strengthen them. Connect sockets to the board (5v, GND, SCL, SDA pins), flash it and check that all sockets work by plugging something to it (after re-plugging stuff, reset the board). If everything works, go on! Press-fit sockets into the lid and pour enough hot glue to fix everything in place properly. 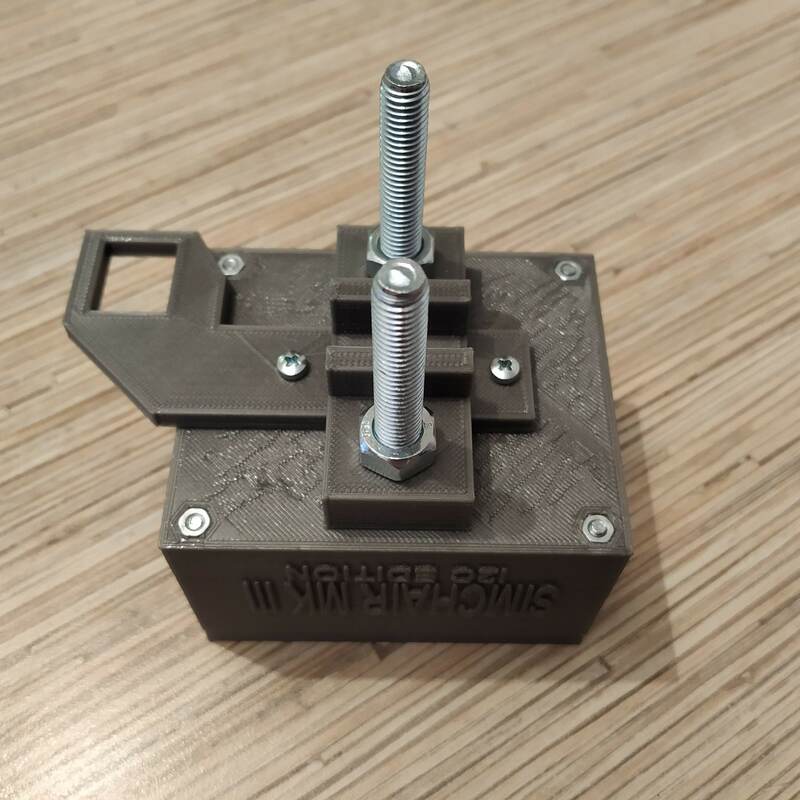 Connect pin headers to the board and put the lid on, use 4 M3x50mm screws to fix it. Insert 2 M8x50mm bolts into the mount part 1. Fix with nuts from the other side. 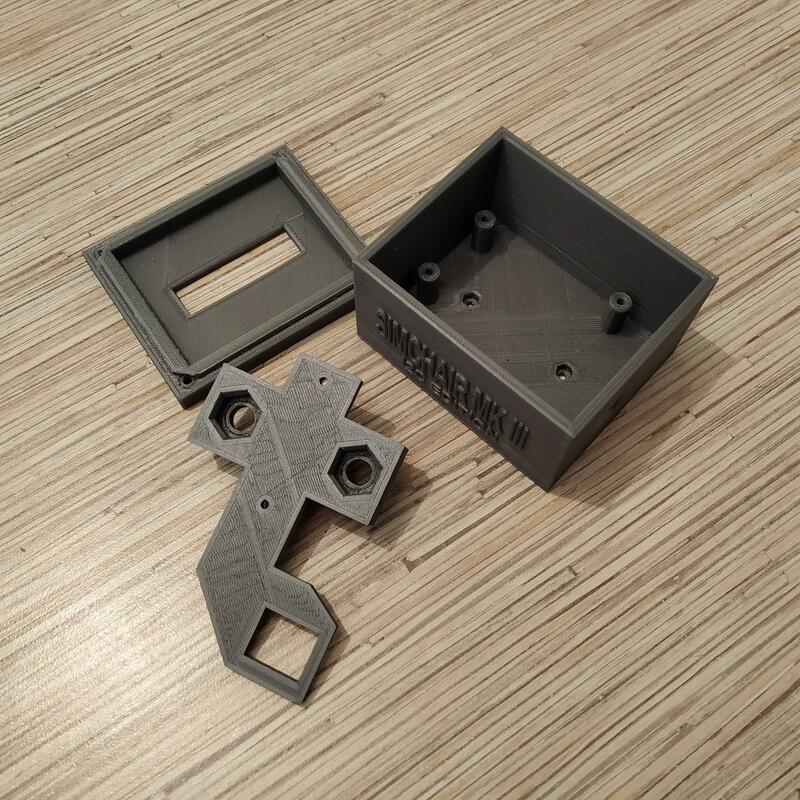 Attach the mount to the controller housing with 2 M3x16mm screws (MAX 20mm!) . Put part 2 of the mount onto its bolts. Congratulations, you have finished the master controller assembly! You can try flying with it right now, or read about firmware configuration. I’ve spent most of today familiarizing myself with your work and researching the bits I don’t know. I’ve gone through all of Peter’s work and whatever documentation of yours I can find, but I still have a few questions. First, I understand there’s a box which contains the main leonardo board, but where are the pro mini boards located for each peripheral? it looks like there’s a pro board fitted inside the collective head, so is the collective mini board located in the base of the gimbal? Lastly, how are the ADS1115 i2c busses connected? I’ve used an arduino for my printer before, but most of this is going to take some work to understand on my part. 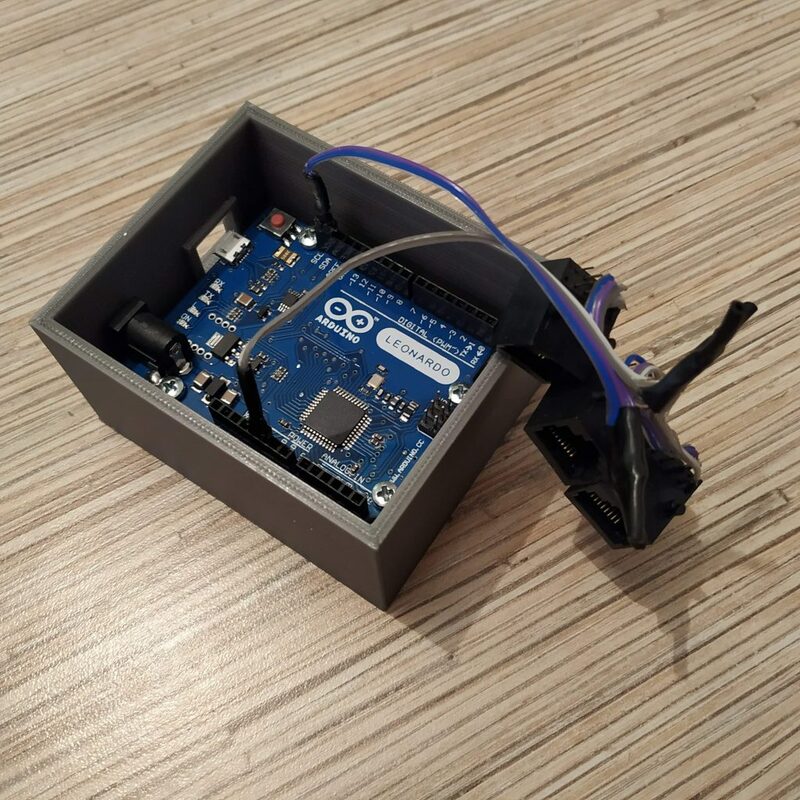 Every peripheral is a separate device, it has its own Arduino pro mini (except for cyclic gimbal and pedals which have ADS1115 boards inside (they are connected directly to the master controller via I2C because of how i2c library works) and a 412 head that has 2 pro mini’s in it). 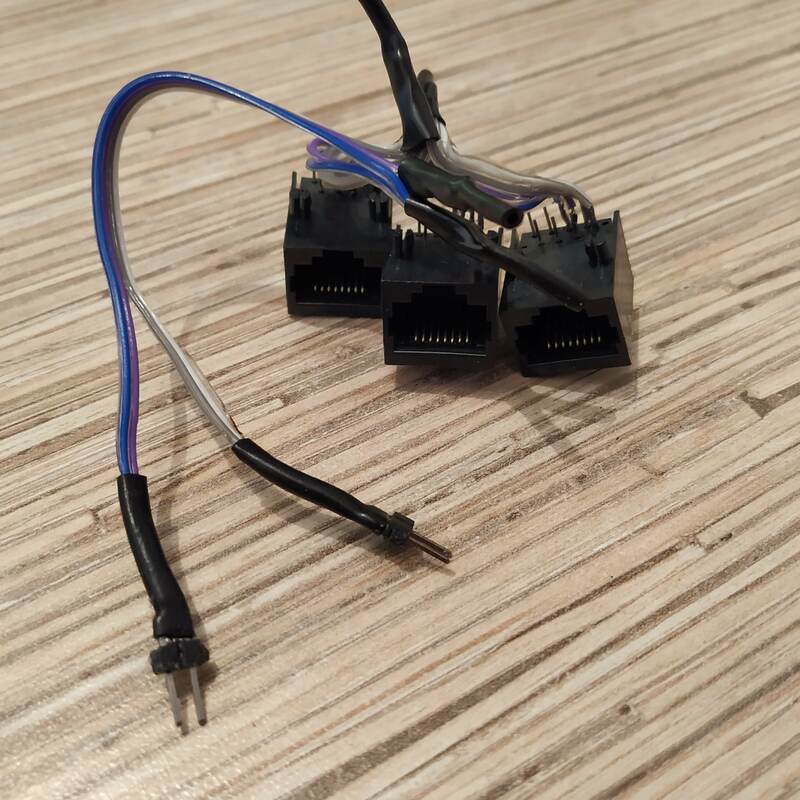 Everything is connected together through I2C, with ethernet cables. First 4 wires of the cable are used, white-orange for 5v, orange for GND, white-green for SCL, blue for SDA. Devices with axes require some initial mechanical and software calibration after assembling (takes around 5 minutes), collective heads and a cyclic grip are pretty much “flash and fly”. I’m just preparing to do my build. What are the dimensions of the RJ45 sockets you have used? 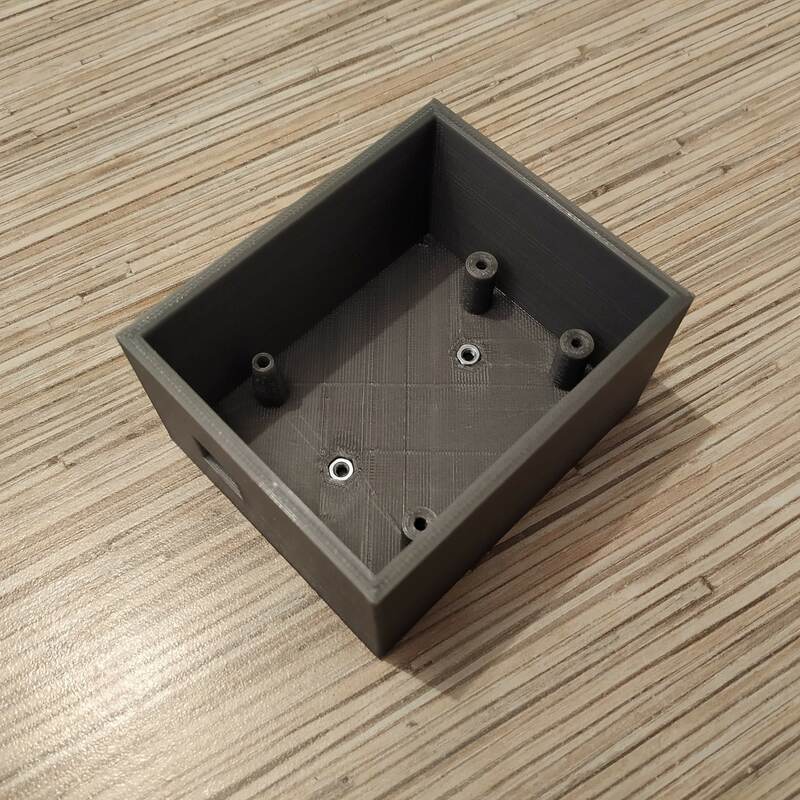 I’ve measured the cutouts and it looks like the cutouts support 15mm wide by 12.8mm high sockets but I’m having trouble finding sockets with those dimensions. Most I can find are 15.8mm or so wide which would make the gap to fit them in 2.4mm too narrow. Huge thanks by the way for sharing your project, I can’t wait to retire my X56! Hi Andy! You’re right, the dimensions are 15×12,8mm. It’s a TJ8-8P8 socket, I bought it locally. There are a few different types, so sadly it’s a bit of a pain (couldn’t find any links on ebay or aliexpress! ), but I think you can find something similar in a local electronics store! There are shielded sockets, some of them will fit with the shield removed. 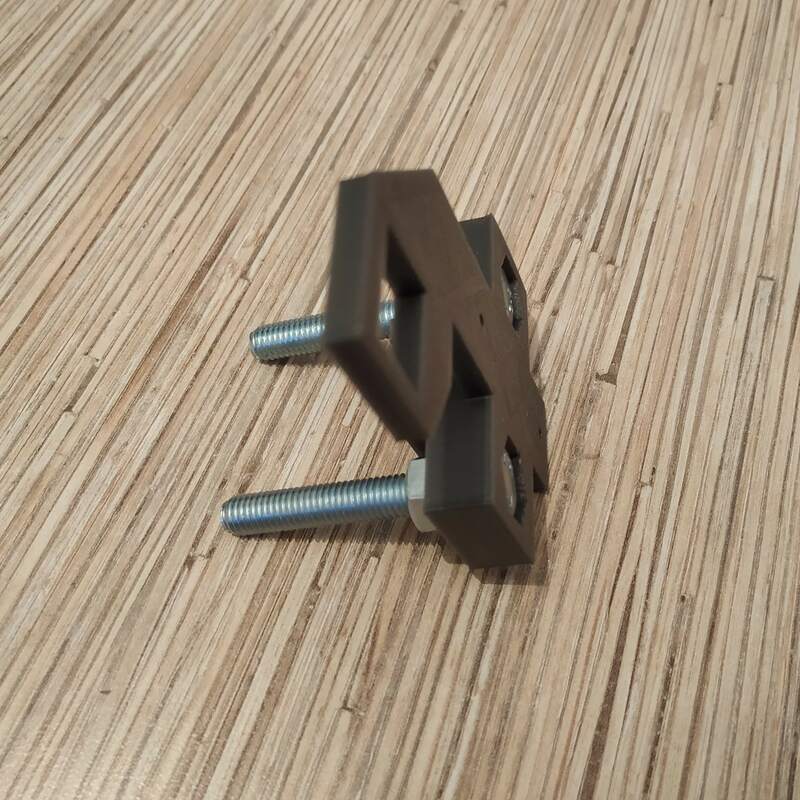 Anyway, you can always file the hole or a socket a bit or just glue it to the outer side of the part =) Alternatively, if you want, I can buy some and send to you, along with Lada clutch springs if you need them =) This may take some time, however. Still working on sourcing parts here in Canada, and have a few questions – thanks so much for all the amazing support! 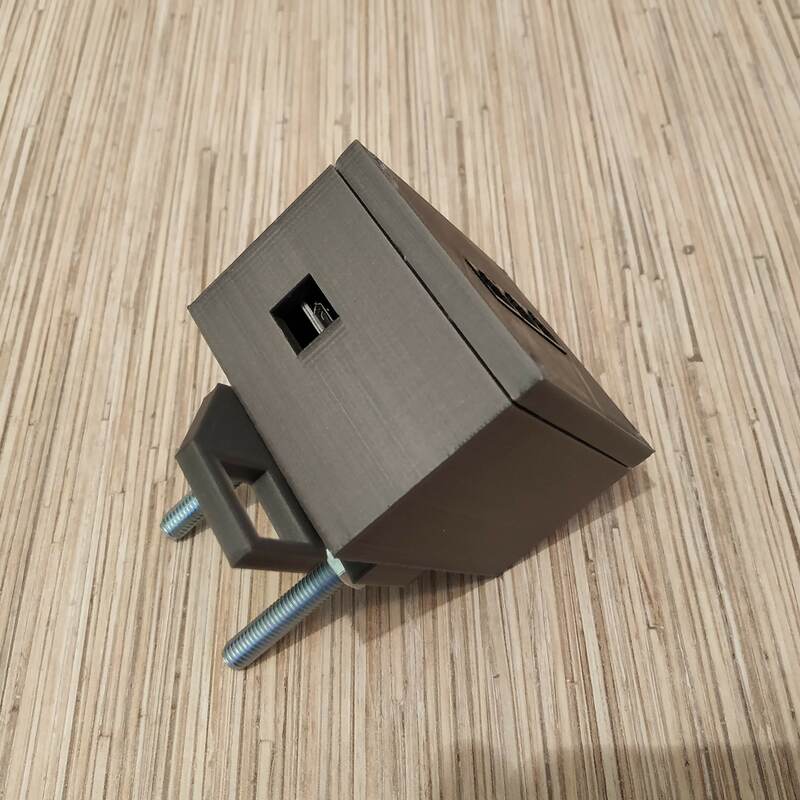 I have have found some 5X3x3mm and 5x5x5mm magnets, but cant find the ones you call for – can 5x5x5mm be used with your existing mod for both the gimbal and the collective magnets? I’m not sure if the size of them, relative to the hall effect sensors is important? Do they simply sit in the magnet holder and get glued on to the end of the bolt? I guess I am wondering if there is anything MANDATORY to include in the collective head? Wow – I forgot these questions! 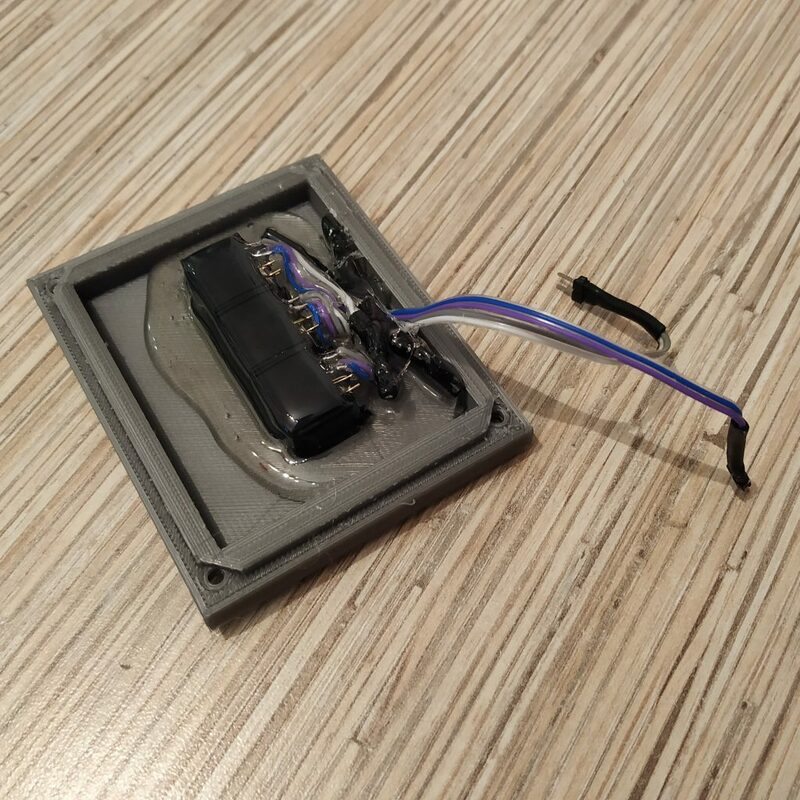 – If I want to modify the models a little to include a cavity for a switch that is a slightly different etc, what software do you recommend to modify them? I am a little rusty but have background in 3d modelling. Yup, 5x5x5 magnets can be used – make sure to print the modified collective housing from the latest post though, so if smth goes wrong, we can adjust the holder without disassembling the whole thing! The size of magnets is important, the width of the magnet defines the travel range of the lever. Don’t remember in what way exactly, but I think that wider magnet = more range! The Huey head is great, but I will be releasing the lever with a Bell 206-style mechanical idle stop latch very soon now, and it would look a bit weird with it. Consider choosing the 412 head and the new lever instead, as it’s something that a lot of people (me included) wanted for a long time! So unless you really want something totally different and custom, I doubt there will be any point in changing anything in the design of a head. Btw the Huey head is a semi-scale one, so it has really tight space inside of it! It’s some US shop that sells it, maybe shipping fees will be reasonable. Alternatively, just modify parts to suit your needs! Thanks again so much for the replies! 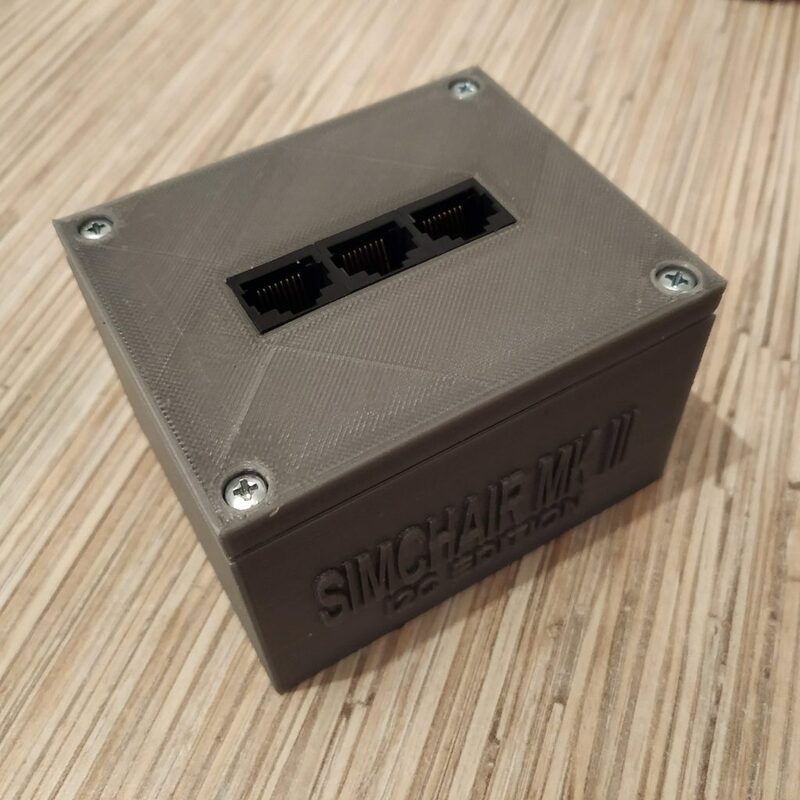 I have most of the gimbal printed and I’ll do the main controller box tonight. Back to switches : I’ll go for the head you recommend of course, and would love to have the new models before I create my collective. (plan for me is main controller – then gimbal and stick, then collective, then pedals). 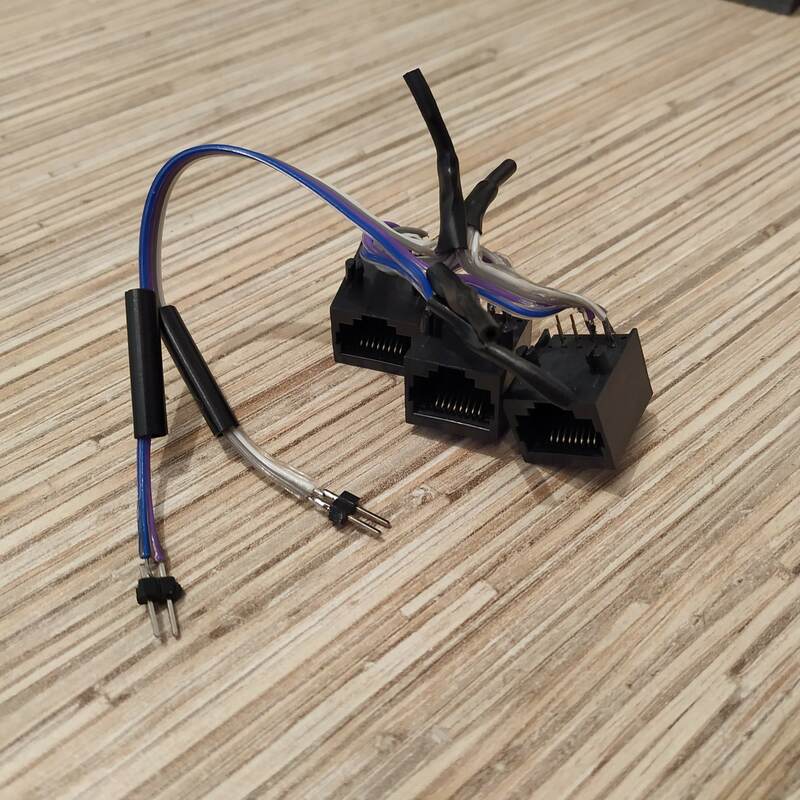 I am having trouble finding switches like the ones used in your plans (6 pins and 2 positions that are spring momentary?) My concern is : If I don’t use EXACTLY what you have, will I even be able to create a config that works for my gear? Can you tell me the specs of the switch so I can search for them? Are the SPDT or DPDT or ?? thanks again and apologies for all the questions as I get up to speed. wow i should have looked on Ebay for switches! If you give me the exact specs for the sort I need, I am sure I can order them – Thanks again so much! 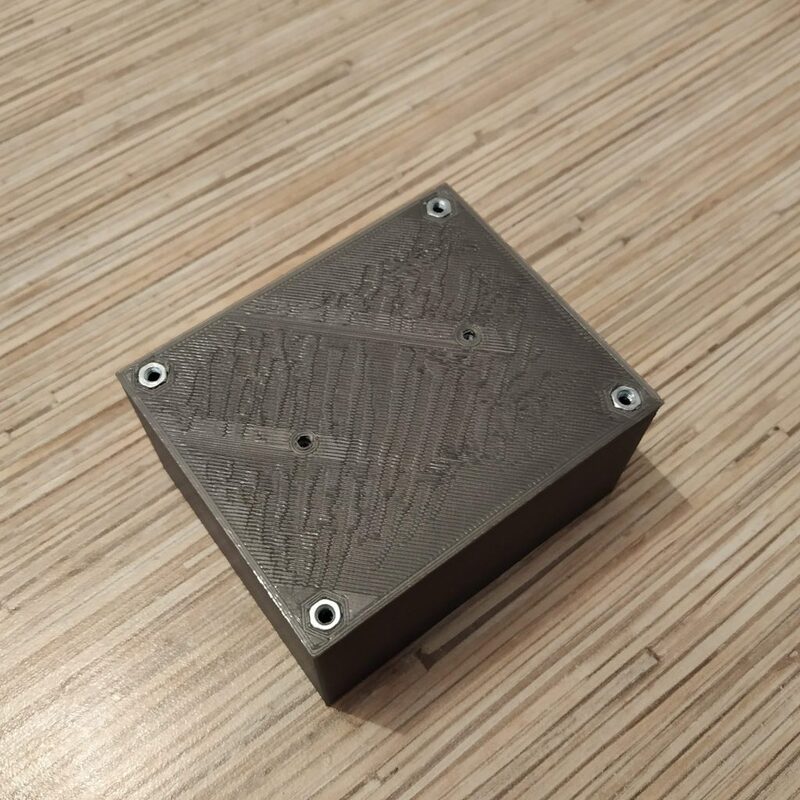 Sorry, my bad, 1st thing that popped up by googling SPDT was a 3d-printer endstop type lol! This is such a great project but I am getting lost in the details as I try to actually continue the build. The master controller standard cover has room to mount 3 rj45 sockets. that does not seem to be nearly enough, so do most need the 6 or 8 jack cover? I’m building the pedals, simple collective, reinforced gimbal, b8 flight stick, 412 collective head and possibly the throttle quadrant. doesn’t each one of these peripherals need to connect to a socket on the master controller via its own ethernet cable? so i would need 6? or go with 8? if i go with 8 sockets , are they all in parallel, like the tutorial shows for 3 socket lid? 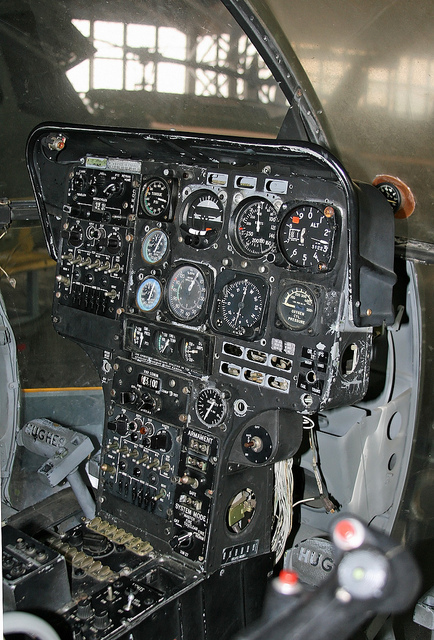 is there a master wiring diagram somewhere? or at least a block diagram? Three sockets are sufficient for a helicopter setup (and probably for all other as well – we’re about to face the limits of a single Leonardo board anyway).